When Dolly Parton presented her 100 millionth book to the Library of Congress Feb. 28, members of the La Conner Rotary Club were able to take pride in helping achieve that number through their participation in the Dolly Parton Imagination Library. “The La Conner Rotary is passionate about literacy, and the best way to inspire literacy in children is to instill a love of books right from the very beginning,” Milliken said. The La Conner Rotary Club budgets funds each year to pay for the books and register children with the Imagination Library, which then mails books to them. Because of budget limitations, the club restricts participation to children living within the La Conner School District boundaries. The program may be expanded to include children in neighboring school districts if increased donations are made available. 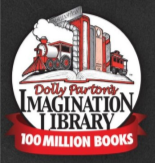 Dolly Parton's Imagination Library started in 1995 as a book-gifting organization that has mailed 100 million books to children in Australia, Canada, United Kingdom, and the United States, according to the Library of Congress. The program currently mails age-appropriate books to more than 1 million registered children in participating communities from birth until they start kindergarten. Visit www.imaginationlibrary.com to learn more.